And The Accordian Played..., The Scottish Music Shop - The Best Selection of Scottish CDs and Scottish DVDs. 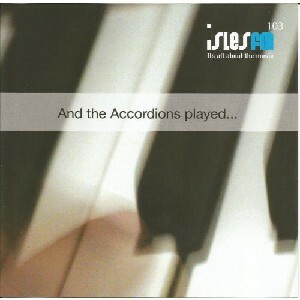 Eighteen tracks of accordion-based music from the western isles in aid of IslesFM. Face The West, Tommy Darky, Blair Douglas, Meantime, Donny & Diane, Fergie MacDonald, Wolfstone, Iain Angus MacLeod Ceilidh Band, Lindsay Weir, Vatersay Boys, etc..